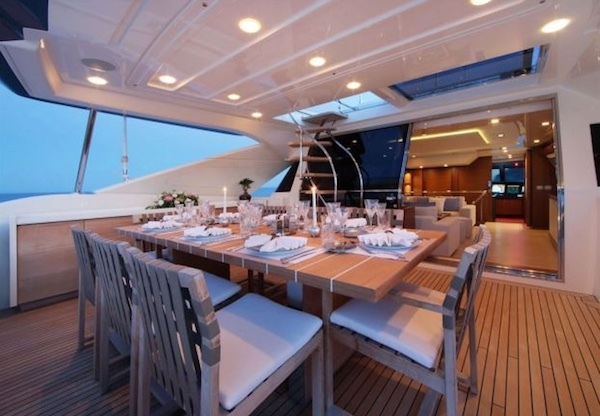 This week’s Super Yacht of the Week takes us to the home of luxury yacht charters, the West Mediterranean. 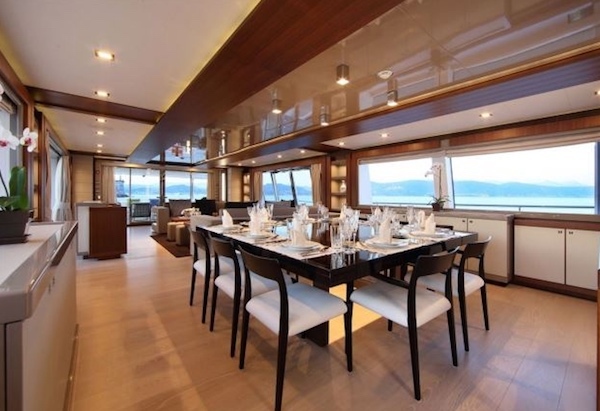 LADY DIA is a sensational Ferretti Custom Line 124, offering 12 guests the opportunity to cruise the French and Italian Rivieras in unrivalled comfort, style and sophistication! A semi-displacement Italian motor yacht, LADY DIA offers advanced design features to ensure maximum enjoyment at all times. Offering three distinct exterior deck spaces, you will be spoilt for choice on where to sit, dine, relax and sunbathe. We love the open plan nature of the bridge deck, which combines the skylounge. al fresco dining, a large sun pad and a central jacuzzi. 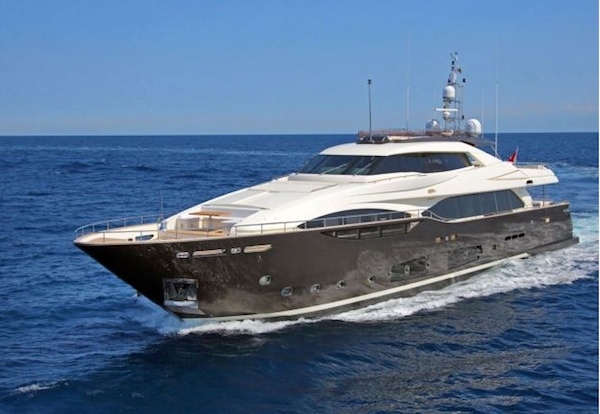 There is no better yacht to enjoy the likes of Monaco, St Tropez and Portofino this summer! The Gianni Zuccon inspired exterior and interior design combines drop down balconies with large open spaces, ideal for entertaining. 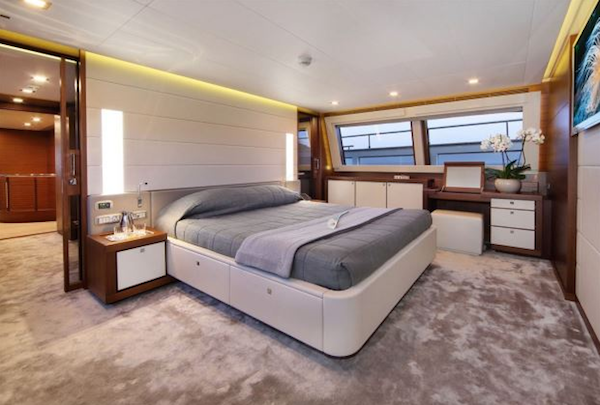 Light is a striking feature throughout the yacht and her large windows in the main saloon ensure that you will always be at one with your surroundings. 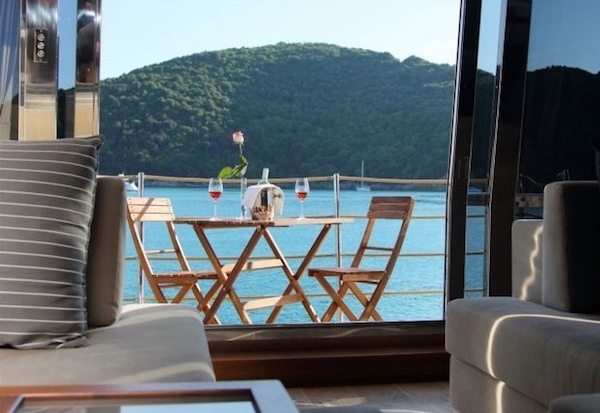 Imagine being anchored off the Maddalena National Park, surrounded by turquoise waters and incredible scenery! Accommodation aboard LADY DIA is provides in 5 staterooms, comprising 1 Master Suite, 2 Doubles and 2 Twins, both with a pullman berth. Each cabin is decadently appointed with the finest materials and linens, enhanced with the latest AV equipment, which will be enjoyed by adults and children alike! If you’re seeking inspiration and guidance for your luxury yacht charter Italy remains one of our most popular and successful charter destinations. Captain Massimiliano and his highly experienced, service-orientated crew onboard LADY DIA will show you the highlights of Italy, according to your preferences and requirements. Contact the expert Boatbookings broker team today to start planning your next yachting adventure.